It has never been a more unpopular time to be a smoker than today. Gone are the blanket endorsements by doctors (!) and — deceitful — advertising campaigns about the vibrant benefits of tobacco products. As we’ve become more aware of the harms caused or exacerbated by cigarettes, the rate of smoking in the United States has steadily declined: Whereas nearly half the country smoked in 1964, now less than 20 percent do, according to the Centers For Disease Control and Prevention. Much of this decline can be tied to people who never picked up the habit to begin with, but there’s still a sizeable proportion of those who permanently managed to kick their sin sticks to the curb. Even more astoundingly, some of these quitters did it cold turkey — without any sort of external help. But what does the science say about these frosty birds? Why do some people seem to quit a drug addiction as easily as they picked it up? And can these quitters teach us, whether physically or through their genetics, how to follow in their footsteps? Getting to the bare bones of it all, the answer to "Should I try to quit smoking cold turkey?" is decidedly no. Not if you want the best chance of succeeding. As Medical Daily has reported before, the consensus in the scientific field of tobacco control has put the rate of quitting smoking for extended lengths of time cold turkey at a miniscule three to five percent. Currently, a combination of nicotine replacement therapy (NRT), prescription medication, and counseling is considered the gold standard in smoking cessation. But there’s an added wrinkle here. Several surveys have found that the most common way cigarette smokers quit is cold turkey. And a Harvard study in 2012 found that the long-term relapse rates of former smokers was similar between those who quit cold turkey and those who relied on NRT, with or without behavioral interventions. But others have shown the opposite conclusion. And a 2006 meta-analysis in Tobacco Control found "that NRT has a permanent effect on smoking cessation," though admittedly a modest one. So what gives here? Well, the Harvard study, as was noted by critics at the time, wasn’t particularly surprising in that it found similar relapse rates years later. Quitting smoking, much like losing weight, on a long term basis is a Herculean task for most, regardless of what methods you use. Drug addiction in general triggers lasting changes in the brain that make it difficult to physically fend off the temptation. There’s also the turmoil of learning how to decouple yourself from the emotional dependence of a relaxing smoke. The sad truth is that most attempts to quit will fail, but the trick to NRT and other methods is that they can noticeably up the chances of quitting any one time. From there, it may take a lifelong commitment to maintain sobriety. But the net positive of NRT and/or behavioral counseling can be seen when more people are able to quit in the first place — that is, when they’re utilized properly. As Dr. Tom Glynn, the director of cancer science and trends at the American Cancer Society, explained in his response to the Harvard study at the time, "I’m not surprised at the results of this study, because evidence is accumulating that smokers who use NRT do not often use it as directed, nor do they use it long enough to stave off relapse, suggesting that we need to better educate NRT users and the physicians and pharmacists who recommend it." And just because most quitters have reported doing it cold turkey in no way implies that it’s the best method to go about it. Much like how slowly rolling a bowling ball through your legs and getting a strike isn’t proof that you’re a good bowler. Just don’t tell my sister that. But fine, let’s say you’ve decided to rough it out regardless. What would make you more likely to succeed? Well, winning the genetic lottery could certainly help. As the New York Times reported this March, there’s a lucky 20 percent of the population that possess a mutation that lowers the presence of fatty acid amide hydrolase (FAAH) in the body, an enzyme that in turn reduces the level of anandamide, the so-called "bliss" molecule, in the brain. Anandamide is a chemical that is expressed in the endocannabinoid system of our brain, which is involved in aspects of our lives like appetite, memory, and mood. Anandamide may help boost our sense of contentment, which addictive drugs like marijuana and nicotine tweak artificially. Those with the mutated FAAH gene, and therefore more anandamide, are known to be less anxious, less fearful, and less likely to enjoy marijuana, which obviously contains exotic cannabinoids. And nicotine addiction, though also activating other unique parts of the brain, is tied to the endocannabinoid system as well. Animal studies which inhibited FAAH have knocked out the pleasurable effects of nicotine use that promote addiction, as well as the temptation to seek out nicotine after its cessation. This line of research will hopefully produce treatments that essentially record over the traces of addiction left behind by habit-forming drugs. In the meantime, those with the FAAH gene may find it harder to become addicted to cigarettes, as well as easier to quit them. But FAAH may not be the only genetic lever that influences why some people become chain smokers, and why some, almost miraculously, seem able to puff a cigarette every once in a while without being addicted. Known alternately as chippers, social smokers, or those lucky bastards, these people report being able to smoke occasionally without any of the tell-tale withdrawal symptoms like anxiety or craving in-between smoking sessions. (For disclosure’s sake, I am a chipper, having smoked less than half a pack of cigarettes throughout the last calendar year). According to a 2009 NPR article, up to 15 million U.S. smokers say they feel no need to smoke every day. But it seems that worldwide, the majority of chippers are simply too poor to afford a daily cig. And at home, the growing stigma of smoking has similarly pressured these occasional users to only light up when socially acceptable, like when at a bar with friends or prowling the streets of Williamsburg at 3 in the morning. "Most of the nondaily smokers are daily smokers who have cut back and they keep cutting back, and that’s as far as they can get," Dr. Joseph Difranza of the University of Massachusetts’ Medical School told NPR. "They haven’t been able to give it up completely." Citing the known changes nicotine has on the brain, it seems more likely to Difranza that most chippers have found a compromise between their habit and their popularity — a bargain that will be increasingly struck the less cool smoking becomes. But there is still a small contingent of chippers who, like myself, find no unconscious tinge in their brain to light up (I’ve smoked three or more cigarettes over the course of a night, only to subsequently not touch the stuff for months). In these brains, researchers believe that we might find the clues to nicotine addiction, as well as future remedies for the vast majority of those who can’t turn down a smoke. 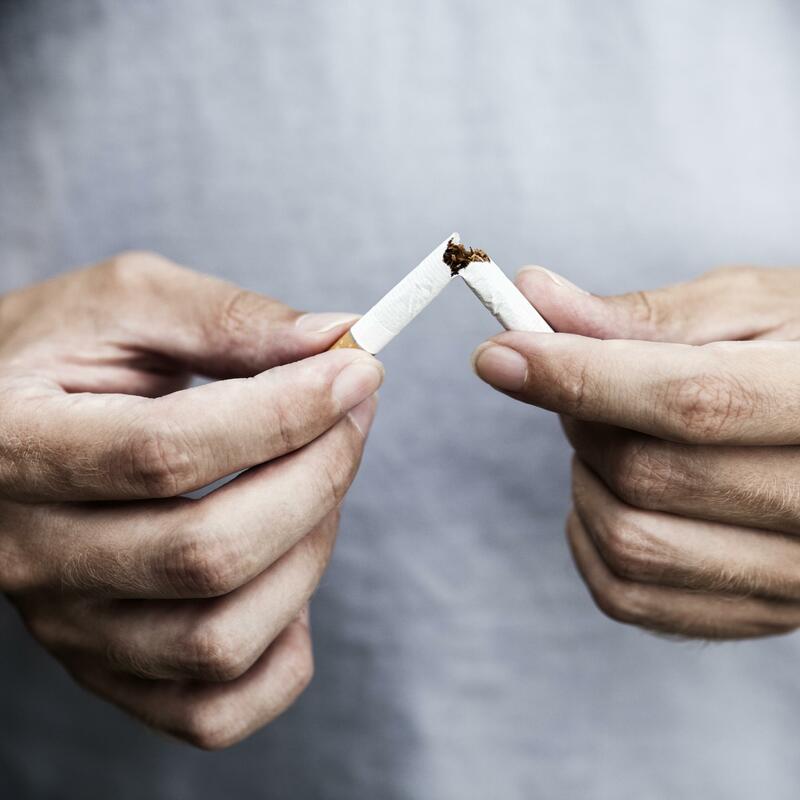 Dr. Laura Beirut, Alumni Endowed Professor of Psychiatry at the Washington University School of Medicine in St. Louis, has studied the genetics of smokers, hoping to find an explanation for why addiction happens. Part of the reason is a game of numbers. "You become a smoker when you smoke 100 cigarettes in your lifetime," Beirut said in a 2013 lecture presented by the National Institute of Environmental Health Sciences (NIEHS), as part of a related talk on the environmental and genetic factors that influence smoking behavior. "Past this threshold of 100 cigarettes, 85 percent become daily smokers." But Beirut and her colleagues also took a look at the genetic landscapes of chippers, and contrasted them to those of the nicotine addict. Their research uncovered a region on the 15th chromosome, the nicotinic receptor gene cluster, that may heavily affect someone’s degree of nicotine addiction, as well as the chances of developing illnesses related to smoking like lung cancer. "Across the chromosomes, there are hints of other genetic findings, but you have this really screaming hot association in the chromosome 15 region," Beirut said. "It appears to change the receptor functionally...I call this the Mister Big finding." Her published work has studied those attempting to quit, and sure enough, there was an association between success and her Mister Big finding — one that may explain why some people are able to quit cold turkey. "Smokers with the high risk genetic variants have a three-fold increased likelihood of responding to pharmacologic cessation treatments, compared to smokers with the low risk genetic variants," a 2012 study co-authored by Beirut in the American Journal of Psychiatry concluded. "The high-risk variants increase the risk of cessation failure, and this increased risk can be ameliorated by cessation pharmacotherapy." In other words, those predisposed to nicotine addiction find it the hardest to quit cold turkey, but also respond the best to medications that biologically address that addiction, whereas the genetically fortunate who are least likely to become addicts are also the most likely to be able to quit without any help. "Depending on your genotype, you are responding very differently to the active pharmacologic treatment for smoking cessation," said Beirut in her NIEHS talk. Our genetics aren’t necessarily destiny though, and even those at lower risk to becoming addicted can be swayed towards it, especially the younger they are when they first start smoking. It’s for that reason the best method of quitting smoking is to never pick up that cigarette at all, and why efforts to limit or merely delay those first opportunities are still so crucial. And it's probably why I shouldn’t tempt fate any further by grabbing that occasional smoke. For the rest of those who are rightfully looking to quit smoking, the best evidence-based advice I can offer is that reaching out to either medical professionals or (free) nicotine addiction counseling services can help you better form a plan that works for you, whether it's going cold turkey or relying on some outside assistance. Still, I imagine that for many smokers, the idea of quitting cold turkey remains popular because of the allure of control it offers them. To stop smoking of your own free will implies that you never felt the unconscious pull of lighting up, that you were never addicted. But a false sense of bravado unfortunately doesn’t help your lungs recover any better from the excess tar and carcinogens dumped in it with every puff. And it won’t give you the best chance of quitting. Needing help to stop smoking doesn’t make you any weaker an individual, but it may make you become a healthier one.